I have been an American Jewish activist and ardent supporter of Israel for over 40 years, and never has the outcome of an Israeli election worried me as much as this one. Just three days before election day, Israeli Prime Minister Benjamin Netanyahu made an eleventh-hour appeal to his right-wing base by explicitly committing to pursue annexation of West Bank territory after the elections. Such a policy is liable to definitively close the door on a negotiated two-state solution and Israel’s future as a Jewish and democratic state. Now the Israeli electorate has spoken, and Netanyahu appears poised to lead Israel’s next government. Meanwhile, the Trump administration continues to talk up a peace plan while simultaneously emboldening the annexation movement in Israel. 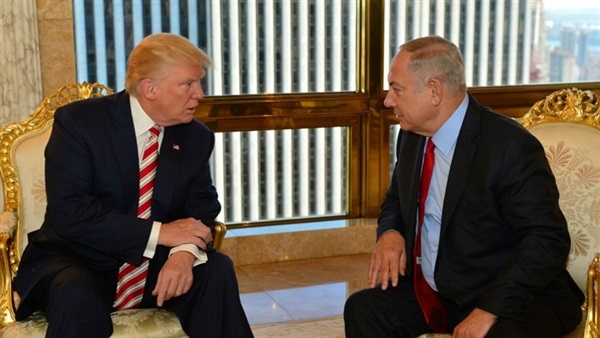 While we do not yet know the specifics of the Trump plan, the substance and the timing of Netanyahu’s remarks suggest that whatever the White House puts forth may be compatible with some aspects of annexation. Netanyahu’s explicit commitment to annex parts of the West Bank is significant. Although Netanyahu had never been an enthusiastic two-stater, he has tolerated rising support for annexation in his own party and has now fully embraced that policy. With pending indictments in three corruption and bribery cases, Netanyahu may well give in to annexationist demands from right-wing coalition partners in exchange for legislation insulating him from prosecution while in office. The Trump administration appears to be working in tandem with the Israeli right, and could accede to Israel’s annexationists. At every juncture, the administration has remained silent as annexation has moved from the ideological extremes to the top of the political agenda in Israel. When the Likud Central Committee voted in 2017 to endorse Israeli sovereignty over the country's West Bank settlements, the White House was conspicuously silent. When multiple political parties campaigned on annexation in the recent election cycle, there were no expressions of concern. Just this week, Secretary of State Mike Pompeo refused to tell senators if the White House opposes Netanyahu's annexation pledge. At the recent AIPAC policy conference in Washington, U.S. Ambassador David Friedman stated that Israeli-Palestinian peace cannot be left to “[a future American] administration that may not understand the need for Israel to maintain overriding security control in Judea and Samaria.” In other words, perpetual Israeli control of the West Bank now has the blessing of a top administration official. There is simply no reason to believe that the Trump peace plan, if ever released, will adhere to the parameters of two states for two peoples. And indeed, the Republican Party may well become the party of West Bank annexation. This outcome has its roots in 2016, when the GOP eliminated any mention of two states from its platform for the first time. As Republicans exploit Israel as a wedge issue in American politics, many of them will eagerly cast those who do not support annexation as insufficiently pro-Israel, if not anti-Semitic — thereby hastening the erosion of bipartisan support for Israel. How the Democrats react will also have lasting consequences for U.S.-Israel ties. We have already seen how Democrats have struggled to handle Israel-related challenges from two extreme left members of Congress who have questioned the very basis of U.S. support for Israel. Meanwhile, several 2020 Democratic candidates have weighed in on disturbing trends with more measured critiques of Israeli policy. Elizabeth Warren has admonished Netanyahu for corruption and mainstreaming followers of the late extremist Rabbi Meir Kahane. Bernie Sanders also decried Netanyahu’s alliance with the racist faction, and Pete Buttigieg criticized annexation as damaging to Israeli, Palestinian and American interests. But all of this precedes any legislative moves in the Israeli Knesset on annexation, which would formalize a single-state reality across Israel and the West Bank and make it impossible for Israel to remain both Jewish and democratic. For American Jews, who vote overwhelmingly Democratic, any abandonment of the two-state paradigm will force difficult questions about how to continue to support an Israel that is moving away dramatically from the shared values that have always linked our two communities. Those challenges include defending Israel’s seeming perpetual occupation of Palestinian lands and its exertion of ongoing control over the lives of 2.7 million Palestinians. Bipartisan American support for Israel, Diaspora-Israel ties and the US-Israel strategic relationship are vital to Israel’s future. All of these will be seriously jeopardized by any form of annexation, and Israelis, Palestinians, American Jews, and the U.S.-Israel relationship will suffer as a result.